Asking $26k. Please message me via the CarGurus ad, my employer blocks the forums. 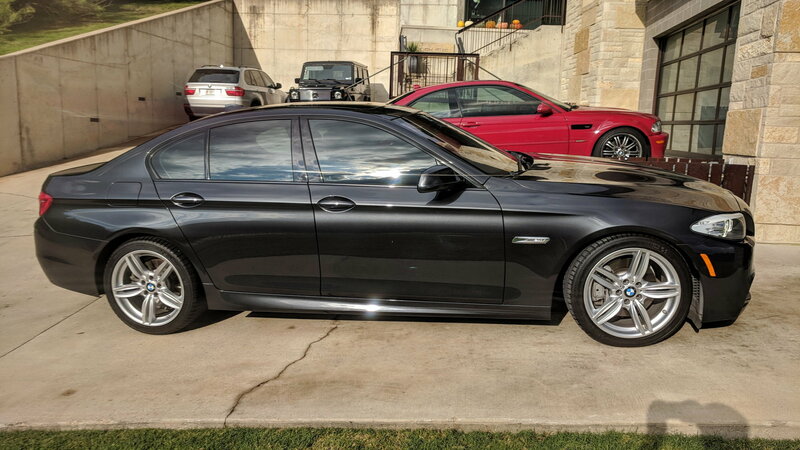 Amazingly clean,​ single owner,​ low mileage 535i RWD with M Sport Package. Decided to go the electric route,​ so the 535 has to vacate the garage and make room for a charging station. TRANSFERABLE BMW PLATINUM EXTENDED WARRANTY THROUGH 100K MILES OR SEP 2019. Gorgeous 535 with all the options,​ immaculate,​ and has been a very well taken care of garage queen. Brand new Michelins all the way around,​ exterior was just clay bared and waxed. M Sport package,​ Heads up display,​ Sport Automatic Transmission,​ Comfort Access System (keyless entry and ignition),​ Park Distance Control (PDC) with backup camera,​ Xenon Adaptive headlights,​ M Sport Suspension,​ 351 M Style Double Spoke wheels. CPO Warrantee, Is it transferable?